There’s more to a rainwater collection system than just installing a tank. Lance Turner looks at what you need to consider when installing a system, what tanks are available and accessories to improve the operation of your system. 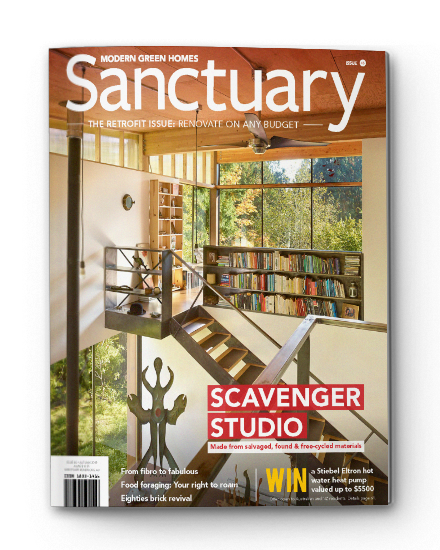 This article was first published in Issue 145 (Oct-Dec 2018) of Renew magazine. Rainwater tanks come in almost any size, shape and colour you can imagine, with a variety of materials to suit different preferences or usage requirements. So what should you look for when buying a tank, and what other components are required to make the system operate reliably and hassle-free? We consider siting, size, installation, tank materials, water collection, water use and more! The first decision you have to make is where the tank will be located. Where you place the tank will determine its size and shape, and possibly even its colour if it needs to blend into the surrounding vegetation or walls. You may want to place the tank next to the house or shed, which makes water collection simpler and reduces pipe runs. If the tank needs to be placed away from the house, the plumbing will be more extensive, complex and expensive. Access to power is also a requirement if you intend to include a pump in your rainwater system. Accessibility for maintenance is also important. You may need to be able to clean behind the tank to remove leaves and debris, and any filters or first-flush diverters at the tank will need occasional cleaning. If there is to be a pump and other equipment, it’s usually best to locate them close to the tank if possible, so allow for this. Alternatively, you may just have a simple tap on the tank for filling watering cans or to feed a slow drip irrigation system, allowing gravity to do the work. The higher the tank in relation to the point of use, the better the water pressure, so consider this if you are going to go without a pump. In hotter climates, it’s preferable to place the tank in the shade if possible, to reduce tank water temperatures and hence evaporation, as well as possible bacterial growth. If you can’t find a shady spot, make one by planting a fast-growing bush on the sunny side of the tank—there are some excellent Australian native shrubs that grow quickly and are excellent shade plants—check with your local nursery for appropriate plants. For most city dwellers, space is at a premium, so the size and shape of the tank is usually determined by the space available. If space allows you to install any size of tank you wish, then it should be sized according to your water needs from it, the roof collection area and your location’s expected average yearly rainfall. This sounds complicated, but fortunately the hard work has been done for you in Renew’s Tankulator rainwater tank sizing calculator. Check it out at renew.org.au/resources/tankulator before you decide on your tank capacity. For high-density living or where above-ground space limits you to a tank smaller than you’d like, an underground tank may be the solution. These are available as poly tanks or concrete, the latter often cast in-situ. Concrete tanks are usually reinforced internally and as such can support heavy loads, so they can be placed under driveways. Some underground poly tanks are also well reinforced and can withstand considerable loads. Undergound tanks are usually best installed as part of a new build, but are also suitable when doing major ground works, such as replacing a driveway or laying a slab for a garage. If your house is mounted on stumps, or you have a post-mounted deck, you could consider a bladder tank. These consist of a metal frame around a flexible plastic or rubber bladder. As the bladder fills it expands to its maximum size. However, periodic washout maintenance (if required) of a bladder tank poses more challenges than a tank which enables internal access. You also need to consider how the water will get from the roof into the tank. If you locate the tank away from the collection gutters, you may need to use what’s called a ‘wet’ system, which can add to costs and complexity. See ‘Wet vs dry systems’ later for more on this. The tank’s location can affect the lifetime of the materials. Ideally, the tank should be located in shade if possible, not just to keep the water temperature low and reduce evaporation, but also because some materials, particularly plastics and fibreglass, are degraded more rapidly by direct sunlight. You also need to decide on the shape of the tank. There are round tanks (the most common) in both tall and squat configurations, oval tanks, rectangular tanks, slimline tanks for narrow spaces, bladder tanks (for placing under the floor of a home, for instance) and even modular tank systems that allow you to make tanks of unusual shapes to fit odd spaces. Just remember that for a given space, a rectangular tank will hold more water than a round or oval tank. For example, if you have a small two by two metre space that you want to place a tank in, a rectangular tank that is two metres high will hold 8000 litres of water, whereas a circular tank the same height will hold only 6280 litres. No one tank type or shape is better than another; they all perform the function of holding water securely, but which shape you choose depends on an evaluation of how much water capacity you need, the space it has to fit in, your available budget and any accessibility issues as discussed earlier. Once these requirements have been evaluated and prioritised, you then select the best size, shape and material for your application. Weigh up which aspects of the tank are the highest priority and make the choice based on that. Don’t just buy a particular tank because it is on sale, for instance, if it doesn’t meet your other criteria. Regardless of where you locate your tank, a sound foundation is required for above-ground tanks. Each 1000 litres of water weighs a tonne, so you don’t want a large tank full of water shifting or tilting—it can pose a danger to people, animals and buildings. A common method of site preparation is to fit a border into the soil slightly larger than the tank, level it and finish it off with sand. This makes for a self-levelling base for the tank, distributing the load quite evenly, but it may not be adequate if the underlying soil has variable density or any voids. Sand can also be washed away over time and compromise stability; for example, if tank inlet screens are not kept clean, overflow from the inlet can wash sand away from the base. Unstable ground can result in a tank tilting over time, especially with taller, narrower tanks. Unless your soil is very stable, tall, narrow tanks need something more solid and stable, such as a concrete slab, or fastening to another structure. 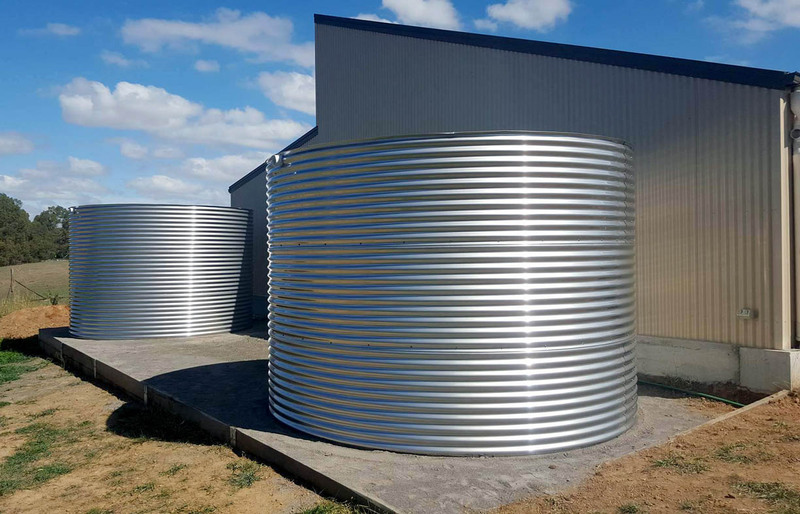 The five most common rainwater tank materials are plastic, sheet steel (Aquaplate Colorbond or galvanised), stainless steel, concrete and fibreglass. If you highly value aesthetics, then your choice of tank will depend on your personal preference and how the tank should integrate into the site. If it needs to blend in, then a Colorbond or poly tank may well be your first choice as they come in a huge range of colours and styles. If you wish to make a statement, stainless steel tanks look quite stylish, especially if the home is also clad in a similar material. The material used in the tank will determine both how suitable it is for a particular site and how easy the tank is to repair. Coastal zones are the most destructive to all structures and a rainwater tank in these areas needs to be resistant to saltwater spray. All tank materials are suitable for coastal zones, provided the tank is installed and maintained correctly, but there are some precautions you should take if your system is likely to receive the occasional spray of saltwater. For example, objects leaning against galvanised tanks can hold saltwater against the galvanising, causing accelerated corrosion, so keep debris away from the tank. Plastic, fibreglass, undamaged Colorbond and grade 316 stainless steel tanks are pretty much immune to salt water. Tanks are large obstacles and they often suffer damage from vehicles, trailers, ladders, falling branches and other large objects found in the average yard. Even children throwing rocks can cause enough damage to penetrate protective coatings on steel tanks, though this sort of damage is easily fixed if caught early. Any tank that has a separate flexible rubber or plastic liner will only need repairing if the liner itself is damaged, which is less likely to happen as the liner can flex away from any penetrating objects. Each type of tank material has its own advantages and disadvantages, so let’s look at these materials individually. The most common plastic tanks are made of polyethylene, often just called ‘poly’. They are relatively immune to damage from salty water, so if your tank is regularly topped up from a bore or dam, then a plastic tank might be the best solution. Plastic tanks can also take light impacts due to their ability to spring back into shape, although heavier impacts, or impacts from sharp objects, may crack or puncture them. Poly tanks are generally repairable by any plastic fabricator with the right equipment; most manufacturers will provide a repair service for their tanks. It is difficult for adhesive compounds to attach to the surface of polyethylene, but small repairs may be performed using a suitable sealant such as 3M’s Scotch-Weld DP8010 or DP8010NS. Most poly tanks will slowly degrade over time with exposure to the sun, despite having UV inhibitors added to the plastic. Because the plastic is being used to hold water, there are limits to how much UV inhibitor and other chemicals can be added, so eventually the tanks will suffer some degradation. Poly tanks pose an interesting problem at end of life: if they have degraded to a point where they can no longer hold water, the plastic will have reached a point where it can only be recycled into a limited range of other products. Unless the manufacturer/supplier has a recycling system available, they will usually end up in landfill. Given the size and mass of a large tank, this is not a good result. Plastic tanks have more embodied energy than you might think. The actual volume of material in them is a great deal more than for a metal tank because they have much thicker walls. And, of course, they are predominantly made from petroleum. Some ‘poly’ tanks are actually made from polypropylene, which is similar to polyethylene in many ways, just a little more brittle. The issues that apply to polyethylene also apply to polypropylene. Some plastic bladder tanks use PVC bladders. Flexible PVC is made by adding plasticisers, usually chemicals known as phthalates, to rigid PVC. Plasticised PVC is considered unsafe in many countries due to the potential hazard of the plasticisers, which can possibly leach into the water. If you intend to drink the water from a bladder tank, make sure the bladder is rated as a potable water bladder. If you are only using the water on the garden then this will be less of an issue, but if you are growing food with the water, the potable water rating is still needed. Another potential problem with bladder tanks is that they have no air/water interface. Unless the water is of good quality and regularly turned over, the water may stagnate. Aquaplate is a specialised form of Colorbond sheet and consists of thin sheet steel with a Colorbond colour coating on the outside and a waterproof coating on the inside to provide corrosion resistance. Galvanised tanks are similar except the steel is coated both sides with zinc to prevent corrosion. Aquaplate tanks are very robust and durable and should last at least 25 years (although they could last up to 40 years or more), provided the coating is not damaged during the tank manufacturing process and seams are correctly formed and sealed. Galvanised tanks will also have a long life, provided the water is not too corrosive—they are probably not ideal to use for bore water unless a water neutraliser such as limestone is added to the tank occasionally. Any attempt to weld galvanised or Aquaplate tanks will compromise the anti-corrosion coating. If welded, the damaged coating must be replaced with either a galvanising coating or a waterproof sealant. Galvanised tanks can be soldered with a suitable lead-free solder. High-temperature solders such as plumber’s ‘silver solder’ will definitely require resealing from the inside of the tank. Galvanised and Aquaplate tanks will generally be quite corroded by the time they start to spring leaks, so they may not be easy to dispose of. Whether a scrap metal dealer will want a tank that is a large percentage iron and zinc oxide is debatable, and at the very least you may have to pay them to take it. Even if a metal tank ends up in landfill, it is a relatively benign material, although galvanised and stainless steel tanks are arguably more benign than painted/Colorbond tanks. Colorbond tanks have plastic coatings, and while these will eventually break down into various chemicals, they will become microplastics in the interim. The amount of toxicity per tank is small, but it is still there. Steel has a fairly high embodied energy, although not as high as stainless steel. Stainless steel tanks are known for their durability and strength. They are generally small modular tanks for urban use, but large stainless steel tanks are also available. These are made from corrugated stainless steel that looks much like corrugated iron, just shinier. While stainless steel tanks can be more expensive than other types, they have a number of advantages. Stainless steel tanks are probably the simplest to repair. A stainless steel fabricator can weld small holes and patch larger ones with new stainless steel. The repairs generally need no additional treatment, as the corrosion resistance is in the steel itself, not a coating. They can also be repaired with waterproof sealants. Stainless steel tanks generally don’t corrode to the level that coated steel tanks do, so when it comes time to scrap them, most scrap metal dealers will actually pay you for them, as stainless steel is quite valuable. What’s more, all the material in a stainless steel tank can be recycled, whereas the zinc and/or plastic coatings of steel tanks are removed from the steel during recycling. Stainless steel has quite a high embodied energy, but having a long lifespan and being fully recyclable offsets that to some degree. Concrete tanks can be quite durable, but they do tend to sweat if they don’t have a plastic or rubber liner. If you look at a concrete tank that has been around for a while, it is not uncommon to see white powdery ‘salt’ residue on the outside. Many concrete tanks are sited underground and are unlikely to sustain damage, but if an above-ground tank is damaged it may be difficult to repair effectively, depending on the level of damage. Concrete tanks are fairly benign disposal-wise, but they do represent quite a large volume of materials. Some companies can recycle concrete but it is not a service available everywhere. Moving an old and disintegrating tank is often a job for heavy machinery, so the cost of removal may be considerable. Concrete also has a high embodied energy compared to other tank materials, due to the manufacturing process of cement (the binder in concrete) and the large volume of material compared to steel or plastic tanks, which are much thinner. Fibreglass tanks are robust, quite impact resistant and relatively easy to repair for a skilled fibreglass worker. However, fibreglass tanks are generally not recyclable, and being a composite material will most likely end up as landfill. Fibreglass tanks contain quite a lot of polyester resin and small amounts of some rather nasty substances, such as the catalyst used to make the resin set. This will all be released as the tanks break down in landfill. This also means that, for a fibreglass tank to be potable water rated, it must have a liner of some sort, usually a flexible liner similar to that used in some concrete tanks, or a food-grade internal coating. All water tanks sold in Australia have to comply with AS/NZS4020:2002. This standard specifies requirements for the suitability of products in contact with drinking water, with regard to their effect on the quality of water. These products include all items such as pipes, fittings, components, and materials used in coating, protection, lining, jointing, sealing and lubrication applications in the water supply and plumbing industry. Polyethylene tanks also have their own manufacturing standard, known as the AS/NZS4766:2006, which covers all aspects of a tank’s design and manufacture. It’s important to make sure the water going into the tank is as clean as possible, both to reduce sludge build-up, which can reduce the usable tank volume and harbour bacteria and other nasties, and to reduce the contaminants that subsequently need to be filtered out. There are a number of devices that are part of a good rainwater collection system and help ensure the best quality of the water that enters the tank. Depending on the intended use for the water and the system design, you may or may not need a particular device in your system, but it’s good practice to keep debris and dirt out of the tank as much as possible. Between downpours, the average roof collects contaminants such as bird and other animal droppings, pollution from vehicles, stoves and heaters, and roof coatings and sealants, as well as larger materials such as leaves and twigs from trees. All of these wash down into your tank with the first flow of rainwater—unless you have diversion devices fitted. The first stage of a diversion system works to divert larger debris like leaves and possum poo. Products include leaf guards, which are fitted to the full length of your house gutters, and leaf diverters (often called rain heads), which fit in the downpipes. 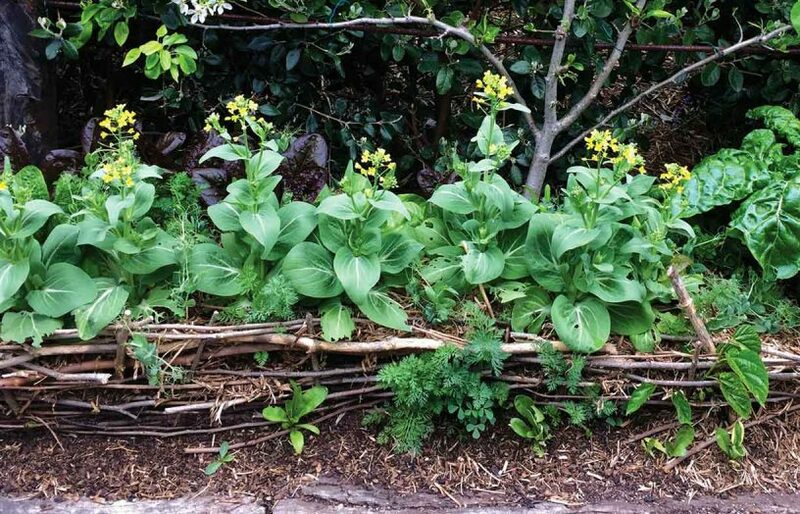 Leaf guards may not work effectively for very long as they can get clogged, although some gutters are designed to exclude leaves. Leaf diverters and rain heads fit to the downpipes, usually just below the gutters, and are a better option. They are simple angled screens that deflect leaves and debris (often down to sizes of just a couple of millimetres, thus diverting almost all macro solids), while allowing water to pass through to the downpipe. They often come as part of the tank package, but if not, they really are a must as leaves can quickly block downpipes. Some rain heads are designed to fit to the tank rather than in the downpipes. The Rain Guardian (www.rainguardian.com.au) is an example and is available as a version with in-built first-flush diversion. Once the larger material has been diverted, the next stage of filtration is done using first-flush diverters. These divert the initial flow of water from the roof to the stormwater drain, thus preventing most micro-contaminants from entering your tank. First-flush diverters can work in a couple of different ways, but usually involve a diversion pipe or tank of the appropriate volume, which fills up with the first rain from the roof. There is usually a floating ball inside the diversion pipe, which floats up, sealing off the pipe once full, causing water to then flow to the tank instead. The water in the diversion pipe drains out slowly through a small orifice or tap, so that the diversion pipe is emptied, ready for the next rainfall. This type of diverter can clog easily if rain heads are not used to remove larger debris, so the two should be used together. Many water tanks are supplied with first-flush devices as part of the package, but, if not, make sure you fit one even if you aren’t intending to drink the water, as it will reduce the build-up of sludge in the tank. When sizing first-flush devices, you should aim to divert the first millimetre of rainfall. One millimetre of rainfall on one square metre of roof produces one litre of water, so this makes it easy to calculate first-flush diversion volumes. For example, a downpipe that is servicing a roof area of 50 square metres should have a first-flush device that diverts the first 50 litres or so of rainfall. Some first-flush diverters include a leaf screen and other functions, simplifying installation. Some tank manufacturers, such as Rapidplas, even make add-on first-flush systems designed to integrate with their tanks. Like rain heads, first-flush devices should be checked seasonally for any clogging. One mistake often made with wet system installation (where water remains in the collection pipes) is including a grossly undersized first-flush diverter at the tank. The diverter rapidly fills up with water from the in-ground pipes and riser, rather than with contaminated water from the roof, which then still ends up in the tank. For wet systems, first-flush units should be installed near the downpipes, and if wet system contamination is a concern, another diverter at the tank can be used to flush the stagnant water from the pipes away from the tank. Alternatively, a single first-flush unit at the tank should be sized to divert both the first millimetre of water from the entire roof collection area, as well as the stagnant water in the pipes. Another method of removing dirt and debris from the collected rainwater is a pre-tank filter. This is exactly as it sounds: the downpipe flows into a large filter which removes any solids down to a particular size. Unlike a rain head, which removes particles down to a millimetre or two in size, a pre-tank filter can filter much smaller particles. 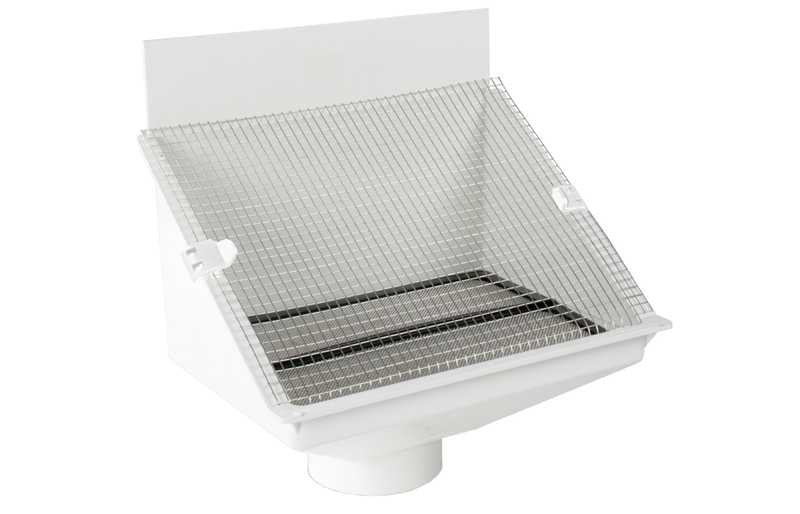 For example, the Rainwatch Filter removes particles down to 50 microns, which includes leaves and debris, dust, insects and bird and possum poo; one filter can handle catchment areas up to 100 m² per filter. The Maelstrom filter from Rain Harvesting is another example of a device that is more than a simple rain head, filtering particles down to 180 microns. It uses multiple screens and a circular system to filter out debris which is flushed out of the filter during heavier downpours, so the filter is self-cleaning. All pre-tank filter systems need basic maintenance: check rain head screens and first-flush diverters at least seasonally, and tank pre-filters at least monthly in the rainy season. Failing to maintain these devices can result in various problems. For example, you can end up with dirty water entering your tank if first-flush diverters fail to drain after each downpour due to clogging, or you may lose more water than you collect if screens or filters become blocked and they overflow instead of allowing water to pass through to the tank. Some dust and debris may still enter your tank, and over time this can build up to form a layer of sludge at the bottom of the tank. In extreme cases, the tank may need to be desludged, which may involve draining the tank—not something you want to do very often. A device that can help with this problem is a tank vacuum. These work by using the natural overflow of the tank when it has filled to draw water from the bottom of the tank, rather than the top. The overflow outlet of the tank is connected to a vertical riser pipe inside the tank that reaches almost to the bottom of the tank. In some designs, this pipe even turns 90° and runs along the bottom of the tank, improving sludge removal. The outside part of the overflow also runs downwards to a special fitting that creates a siphon effect. To prevent the siphon from emptying the tank, a small hole is drilled in the pipe inside the tank, near the top. When overflowing, this hole is under the water level and so the siphon operates, but once the water level drops and uncovers the hole, air enters the siphon and breaks it, stopping the vacuum from draining the tank. A well-known model of this type of siphon tank vacuum is the TankVac (available from www.ecoworld.com.au and see a video of how it operates at youtu.be/e1_B9WITe94). There is an even simpler system from Rain Harvesting (www.rainharvesting.com.au) that uses just a couple of specialised fittings and standard PVC pipe; it has the internal vertical riser pipe like the TankVac, but the bottom end of this pipe simply ends in a serrated fitting that increases water velocity across the bottom of the tank, helping to remove sludge without the need for a siphon system. Either of these simple but effective systems can be installed by the average handyperson. A wet or dry system? The terms ‘wet’ and ‘dry’ refer to the type of downpipe system between the roof collection area and the tank(s). In a dry system, water flows downwards from the gutter through a sloping pipe to the top of the tank. When the rain stops, the pipe empties into the tank and becomes ‘dry’. Dry systems work in many situations where the tank is on the same side of the house as the guttering and is close to the house, so that pipe runs between the gutter and the tank can run along the side of the house and are relatively short. With a wet system, part of the pipework between the tank and the guttering is lower than the top of the tank, and is usually buried in the ground. This may be required if the tank and gutters are on opposite sides of a house, requiring the pipework to run under the home to reach the tank. Other reasons for using a wet system include obstructions such as a driveway between the roof and the tank, or when multiple downpipes from different sides of the house need to feed into one tank. When the tank is not located close to the home, a wet system is often used for neatness and to prevent long lengths of pipe being suspended in the air between the house and the tank. There are a couple of disadvantages with wet systems: the pipes need to be insect-proofed to prevent mosquitoes and similar bugs breeding in them, and the first-flush device in the system must flush not only the first flow of water from the roof, but all of the water that has remained in the pipe as well. Proper mesh screens solve the first problem and indeed are generally a requirement with wet systems. In-ground first-flush devices can solve both of these problems. They are buried in the ground along with the pipework and have a drainage outlet that is lower than the tank and pipework. In effect, they can be used to convert a wet system into a dry system, as when the rain stops, the first-flush device will drain the pipes completely. However, in-ground first-flush diverters need to drain the wet system pipes if they are to work. They also have drippers that can block, they retain debris, the ground needs to be on a slope and the drippers can reduce rainwater yield. Wet systems are also more complex than dry systems and cost more to install due to the need to bury the pipework. Another issue to be aware of is tank height, in particular, in relation to the height of the gutters. During heavy downpours, you will need a minimum ‘head’ (height between the gutter or top of the leaf guard/rain head) to maintain adequate flow through the pipes such that the water does not back up in the pipes, overflowing at the gutters. The required head will depend on the roof area the pipes are servicing, the diameter of the pipes, even the number of bends in the pipe, which can slow down flows. If you can’t provide a suitable head height between your chosen tank and the gutters, you may have to partially bury the tank to lower its height above ground, or opt for multiple ‘squat’ tanks instead. Talk to your plumber before deciding on a tank, to ensure these problems are avoided. A tank full of water is no good if it isn’t distributed correctly, and there are a number of components in a rainwater use system that may need to be installed, depending on your intended use for the water. Tanks can also impart a slight taste to rainwater, at least when new. For example, plastic and fibreglass tanks can make water taste ‘plasticky’ while galvanised tanks can impart a metallic taste. Concrete tanks can raise the pH of rainwater due to excess lime in the concrete, which may result in a bitter taste. Any taste your tank imparts to the water will usually abate after a while, but if you are going to use the water for drinking, dumping the first fill can flush out most manufacturing residues. Also, using a good quality filter is recommended. If you intend to use the water outdoors only, or indoors, but not for drinking—for washing clothes, filling the toilet etc—then basic filtration may be all that’s needed, just to remove any sediment. A simple cartridge filter setup, such as the popular ‘Big Blue’ cartridges, is simple and low cost. Filtration levels in such systems can be tailored to your requirements, with simple particle filter cartridges ranging from 1 micron through to 20 microns or larger. You can also get carbon cartridges that absorb some chemical contaminants, or cartridges impregnated with silver to reduce bacterial growth. There are even refillable cartridges to fit these filter housings, allowing you to use any filter medium of your choice, or any combination of media in the one cartridge. If you intend to drink the water, a silver-impregnated cartridge is the minimum you should use and, for full sterilisation, a UV (ultraviolet) steriliser can be fitted as the last stage of filtration. UV sterilisation may be considered excessive by many country folk, but it may be mandated for drinking water— and your plumber may insist on installing this filter when installing your rainwater system. UV sterilisers require occasional replacement of the UV fluoro tube, unless they use LEDs (which very few, if any, do due to the current cost of shortwave UV LEDs). UV filters also need a source of electricity, of course. There are numerous speciality filters that can be used to remove specific contaminants such as heavy metals or organic compounds. This is usually not a concern for rainwater, but if your tank is topped up from another water source such as a dam, stream or bore, this may be a requirement. Some poly tanks can leave the water with a plasticky taste—this comes from additives in the plastic leaching into the water and should definitely be filtered out if you intend to drink the water or use it for growing food. This can usually be achieved with an active carbon filter (silver-impregnated cartridges are usually active carbon-based), but if this is a strong concern, you may want to consider an alternative material such as stainless steel. There is also pH correction, as rainwater is naturally acidic and so can corrode metallic fittings and pipes—in homes with rainwater tanks and copper pipes, blue staining is not an uncommon problem as the acidic water slowly dissolves the copper pipes over many years. For this reason, plastic pipes are the preferred material when using rainwater (or acidic bore water). Many newer homes are now plumbed with PEX polyethylene pipes, eliminating this problem, at least for pipework. Acidic water can also degrade brass fittings, of which most domestic tapwork is made, resulting in leaking taps due to corroded spindles and tap seats. The solution is to fit a pH neutralising filter, such as the whole house calcite water filters from Filter Systems Australia or Pacific Water Technology, which uses calcite (calcium carbonate) to neutralise the incoming water (or, for more rapid neutralisation, dolomitic limestone, which has a considerable percentage of magnesium carbonate, may also be used). All cartridge filters require replacement of their cartridge or filter media on a regular basis, while pH correction media slowly dissolves over time. Cartridge or media replacement can be required as little as once a year if your water quality is good, or more often if contaminant levels are higher. Obviously, the larger the filter cartridge, the longer between changes, so if this sounds like a hassle to you, then use the largest cartridges readily available. In the ‘Big Blue’ style units (see photo), this is the 4.5” x 20” cartridge (diameter x length). 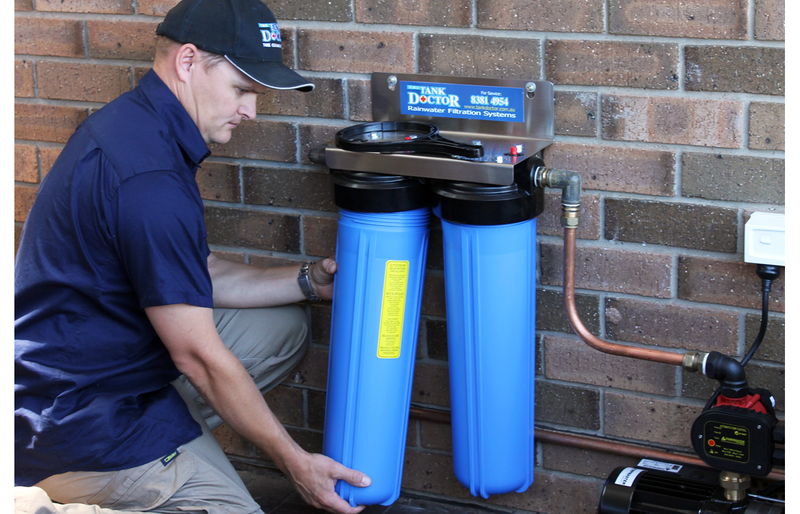 These sorts of filter systems are readily available, including from some tank suppliers, hardware stores, or online stores such as The Tank Doctor (www.tankdoctor.com.au) who provide complete filtration setups ready to connect. While most rainwater tanks come with a simple outlet near the bottom of the tank, the fact is that this is where the most polluted, anaerobic water is in the tank. One way around this is to take water from the top of the tank, but of course the ‘top’ varies depending on the water level. The simple solution is a floating pickup, which consists of a float attached at the end of a flexible hose. The float keeps this water pickup near the top of the tank, so only the cleanest most aerated water is drawn off. The Tank Float is one example of such a system, as is the WaterNymph from Water Sweet (www.watersweet.com.au). 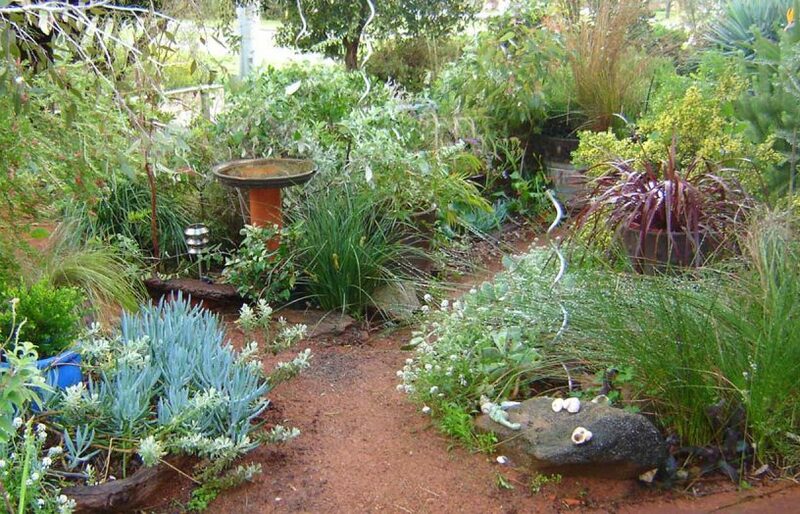 If you just intend to use your rainwater on your garden, a pump may not be needed at all, especially if your tank is on a tank stand or your garden is on a slope and considerably below the tank level—gravity is the cheapest pumping system there is. If you need more pressure than gravity can provide, you will need a pump. This will be the case if you intend to use the water inside the house in your fixed plumbing, or an irrigation system that requires normal mains pressure. Indeed, any application where you would normally use mains pressure will need the use of a pump. The only time this isn’t the case is if the tank is located on a hill next to a building from which it collects water, and the point of use is down the hill by at least a few metres. While there are a vast range of mains-powered pressure pumps available, rainwater pumps should be selected with three things in mind: application, reliability and noise. For your application you need to know the pressures and flows you will require. For example, running a shower and lawn sprinkler together requires 15 litres per minute (lpm) at 140 kPa pressure. However, running an irrigation system might need 60 lpm at 400 kPa. Work backwards from the number of appliances you want to run at the same time. Add them up and this will give the required flow rate. The pressure required is determined by the pipe size used and the length of the pipe—the longer the pipe run, the greater the friction inside the pipe and the higher the pressure required to deliver a given flow rate, so select a pipe large enough to minimise frictional losses. Stick to 25 mm or larger pipe and you won’t run into problems around the home. Reliability can be determined by several factors such as suitability to the application, construction materials, quality of the installation, water quality and pump and controller quality. If you are going to use the pump regularly and will depend on it working well, don’t buy a cheap unit. However, if your pump is not in a critical application, such as just watering the lawn, then a lower cost pump may suffice. Most pumps are external to the tank—they have pipes running from the tank outlet to the pump inlet, and another pipe from the pump outlet to the point of use. However, submersible pumps are completely submerged in the tank itself, but have the disadvantage that they don’t have much pre-pump filtering as they sit near the bottom of the tank in the most polluted water. They can be fitted to a float to allow them to collect water near the top of the tank—this will greatly improve the water quality provided. Pressure pumps usually come with a pump controller (often just a simple pressure-operated switch, but there are also many electronic models) that turns the pump on and off as required. Look for a controller that offers ‘dry run protection’—dry running is the most common way to destroy a pump. Pumps broadly come in two flavours: single-speed pumps and variable-speed, constant pressure pumps. Most pumps are still single-speed units, with the pump being turned on and off by the controller as demand requires. This type of pump is almost always used in combination with a pressure tank, which provides a reservoir of water under pressure. This greatly reduces the number of pump starts and improves pump longevity. For most people, a simple single-speed pump rated at around 20 litres/minute and a relatively small, low-cost pressure tank, such as 18 litres or so, will do for general-purpose use around the garden. 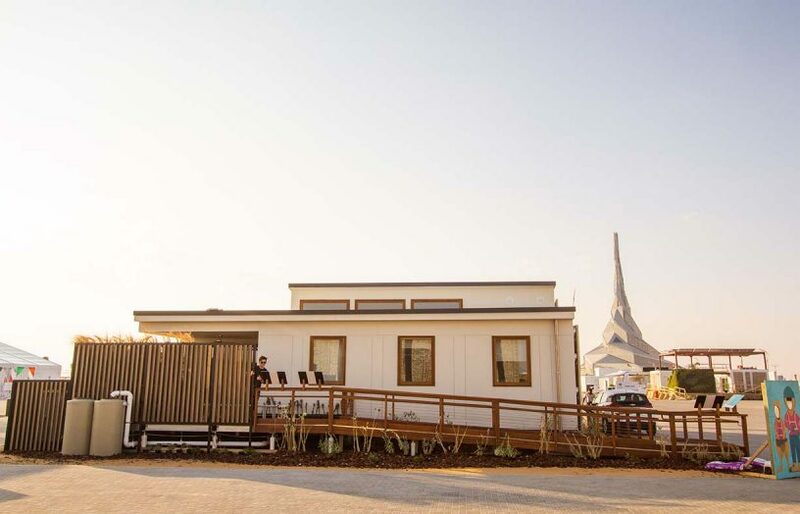 But for more serious applications, such as supplying all water requirements to an off-grid home, you will need a pump capable of maintaining pressure when several taps are opened at once and a larger pressure tank to reduce the number of pump starts. Pressure tanks in the range of 60 to 100 litres are typical in such applications. However, tanks this large start to get expensive, and so the advantage over a variable-speed pump—lower price— is pretty much negated. Variable-speed pumps have controllers that can vary the pump motor speed to provide a consistent pressure regardless of the flow rate. They eliminate the need for a pressure tank, but are considerably more expensive than single-speed pumps. However, prices have been steadily coming down as variable-speed pumps have gained popularity, with units such as the Grundfos Scala2 being available for under $600 if you look around. While most domestic pumps are single-stage pumps (the pump has a single impeller), multi-stage pumps, which have multiple impellers can deliver higher pressures. However, unless you are pumping long distances or to high heads, you shouldn’t need a multi-stage pump. A pump professional (not necessarily the local pump salesperson) will be able to guide you in your selection once you have a clear idea of your application, flow and pressure requirements. Noise on domestic pumps is governed by EPA guidelines that set time blocks and maximum noise levels at the closest point to your neighbour’s house. A pump’s noise depends on its type, but incorrect installation can also make for noisy operation—large pipework will reduce the chance of this happening. The quietest pump is a submersible one, as it resides inside the water tank. The advantage is near-silent operation, but maintenance can be more difficult as they need to be removed from the tank. A pump located outside should also be enclosed in a suitable pump cover to protect it from the weather and possible knocks and other damage. If you want to run your house primarily from rainwater, but still wish to use mains water as a backup, you can connect your home to both using a rainwater changeover system. This can be as simple as a few manually-operated valves and a backflow-prevention valve in the mains line, or an automatic system can be used. The Davey Rainbank is a popular system which uses an electronic controller to do the water source switching. However, a similar result can be achieved with a simple hydraulic changeover unit such as the Acquasaver (www.acquasaver.com.au). One very handy device for your water tank is a water-level gauge. These include a simple dipstick, mechanical float/cord/weight devices (the position of the weight on the outside of the tank represents the level of water in the tank, such as the Yaktek Levetator and Liquidator), float and rotating dial units (such as the Rain Harvesting Tank Gauge) and wireless electronic sensors which send the water level information to a receiver in the house. As with many such devices, simpler is usually better, but an electronic unit may have the option to record water level data so you can chart tank storage levels over time and get a better idea of available capacity during times of lower than normal rainfall, for example. Some units, such as those from Gallagher, include features such as low tank level warning, abnormal water usage warning (excess water use will trigger a warning so you can catch leaks before you run out of water) and a ‘time until empty’ estimate; they may even be able to interface with a pump controller to refill the tank from a bore or dam when required. Energy use of pumps will vary depending on efficiency. The more efficient a pump, the less energy it will use to move a given volume of water. If you’re thinking about installing a rainwater tank but are concerned that you will need to use energy to power a pump, think about this: the mains water in your home gets there by being pumped through the mains water system. This water is pumped great distances and is delivered to homes at a much higher pressure than generally needed. Because of these factors, the embodied energy in mains water is quite high, relatively speaking. Using a small pump to move water out of a rainwater tank will generally use far less energy than drawing that same volume of water from the mains. To get an idea of how little energy is needed to push water around, have a look at the pumping calculator at www.bit.ly/PumpPower. Using this calculator it can be seen that to move 2000 litres an hour up to a five-metre head using a 60% efficient pump, the pump will require a shaft power of just 50 watts. Using the average electric motor to drive the pump would result in an energy consumption of under 100 watt-hours. For homes with off-grid energy systems, it can make sense to use a timer to water gardens during times of solar excess—the middle of the day. However, if doing so, watering should be sub-surface and the gardens should be well mulched to prevent evaporative losses. A water tank can be a considerable expense, even after a rebate, so you want it to last as long as possible. The expected lifetime of any tank should be at least 20 years, and indeed, many tanks come with a 20 or even 25 year warranty. As already discussed, a number of factors will determine just how long the tank actually lasts, including water quality, maintenance and positioning of the tank. When the tank reaches the point where it is no longer suitable for holding water, due to corrosion, reduced structural strength or other physical damage, it may still have a second life. Tanks can sometimes (depending on their condition) be turned into storage sheds, animal shelters or storage bins, provided they are given adequate structural bracing if doors or windows are cut into them. If reusing a tank in this way, it is critical that the tank is firmly anchored to the ground to prevent it being blown away in high winds—an empty water tank has a high wind load compared to its weight due to its large physical size. 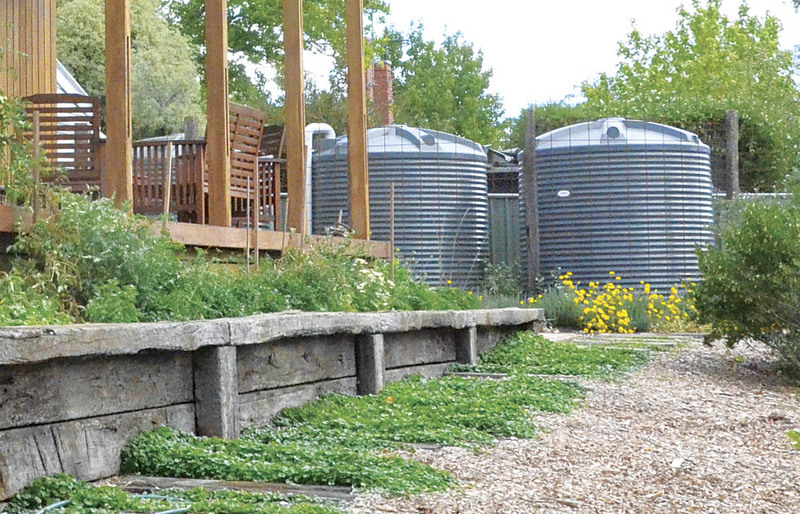 Like all permanent structures, there are rules and regulations that apply to rainwater tanks. Each council has their own requirements for sites and installation, so before you do anything, talk to your council and find out what they require. Water tanks can cost quite a bit of money, but fortunately rebates are available for tank installation in some states. While tanks do not have to have AS/NZS4766:2006 certification, if you want to claim a rebate then the tanks must be certified. This is permanently marked on the side of the tank with the manufacturer’s name, tank capacity, date of manufacture, serial number and the AS number. For more information on the rebates available, go to the relevant state government website in your state. Download the table of rainwater tank suppliers to help you find the right tank for your needs. Lance Turner is Technical Editor of Renew magazine. Thank you to Christopher Edwards from ZenPlumb for reviewing this article. 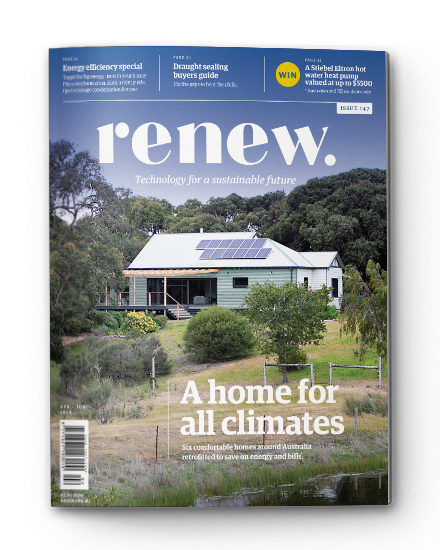 This article was first published in Issue 145 (Oct-Dec 2018) of Renew magazine. 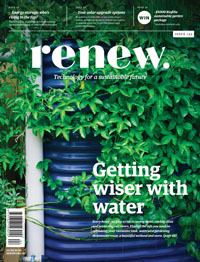 Issue 145 has saving water as its focus.